With the vision of enabling the younger students to understand the significance of developing their potentialities and channeling it towards the building of a new world civilization characterized by peace and unity, City Montessori School Rajajipuram Campus I has integrated a programme to its curriculum is called the Junior Youth Empowerment Programme. 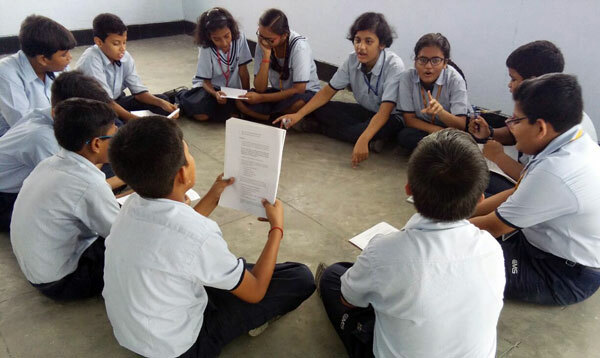 This Program strives to engage the students from senior sections as animators/mentors of younger peers, to help their younger friends enhance their power of expression, sharpen their spiritual perception, capacity of moral reasoning to investigate the constructive and destructive forces of society. With the help of the Animators’ training, senior students learn to shoulder a great responsibility of fostering the environment of mutual support and assistance among the younger ones where they develop their spiritual and intellectual capacities to become the builders of the future civilization. No doubt their task is of immense value. This empowerment program is offered to junior youth in small groups, usually takes place during assembly and activity period in the campus. Following are the aspects that help us to understand the programme as a whole. 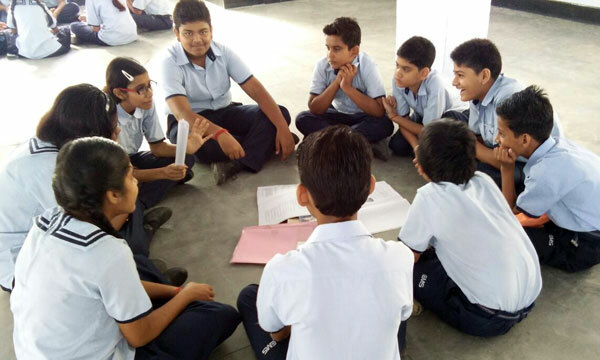 To be empowered, all the junior youth and animators have to take part in number of meaningful activities that would train their intellectual as well as spiritual faculties. Keeping this ideology in the mind, students of our campus have endeavored many more artistic expressions such as: Preparing Prayer book and virtue book, block printing, warli art, different designs of handkerchief, bookmarks, stone painting. They always take the joy of expressing their ideas and experiences through art and craft expressions. Children also express their creativity in the form of songs, skits, speeches, dances. Games are used as one of the important element to articulate the ideas or concepts through actions. Various cooperative games are played to help them understand the practical implications of the fundamental concepts of the book. 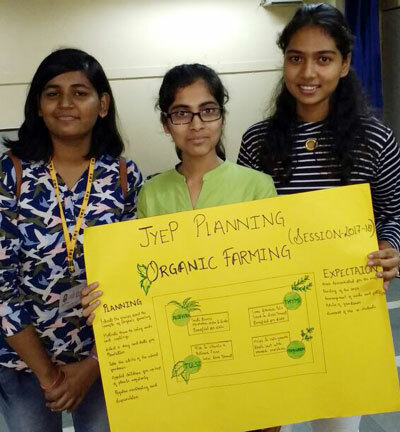 Translating the ideas and concepts of the study materials which is learnt during the group session into the field of service has always been an important element of the empowerment programme. Animators as well as junior youth of the campus make plans to offer their service for their fellow friends and seniors. Some of the accomplishments were done by the animators.